Get your tires serviced right the first time at BMW of Bend. Our expert technicians will install your tires, perform a maintenance check, and help you choose the right winter, all-weather, or summer tires for your vehicle. We also have many tire related services such as wheel alignments, tire & wheel balancing and tire pressure checks. Contact us today to schedule an appointment for a new set of tires, or a tire service at BMW of Bend. If you live in an area where the winter temperature averages below 45 degree, like Bend, Oregon area, then you’re going to need winter tires on your car, SUV, AWD, etc. 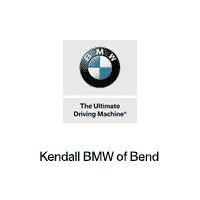 This is one of the most common questions we are asked at BMW of Bend come the winter season. Having four winter tires on the road is not just recommended, it’s necessary. Using just two winter tires on a vehicle results in uneven traction that can have serious handling consequences. Using four winter tires ensures optimal traction and control for your car, or SUV. Please always use four winter tires, to ensure you and your vehicle’s safety as well as the safety of others on the road.